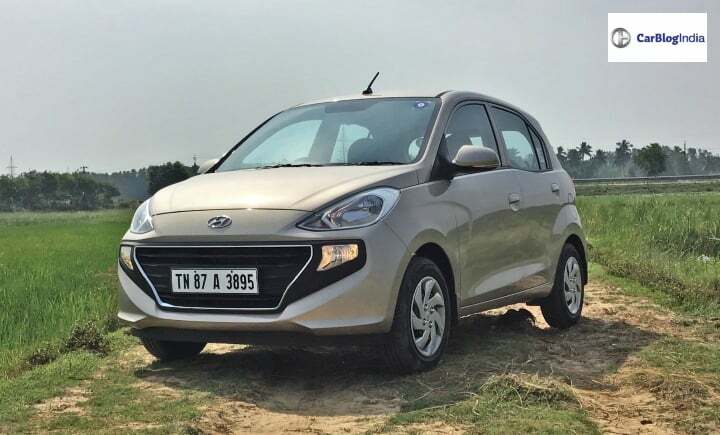 2018 Hyundai Santro packs in a whole array of changes an upgrades in comparison to the older generation iteration of this compact hatchback. It now comes with an all-new persona, new interiors, better features and improved driving dynamics. The new Santro has managed to garner impressive sales numbers withing a couple of months of its launch in India. 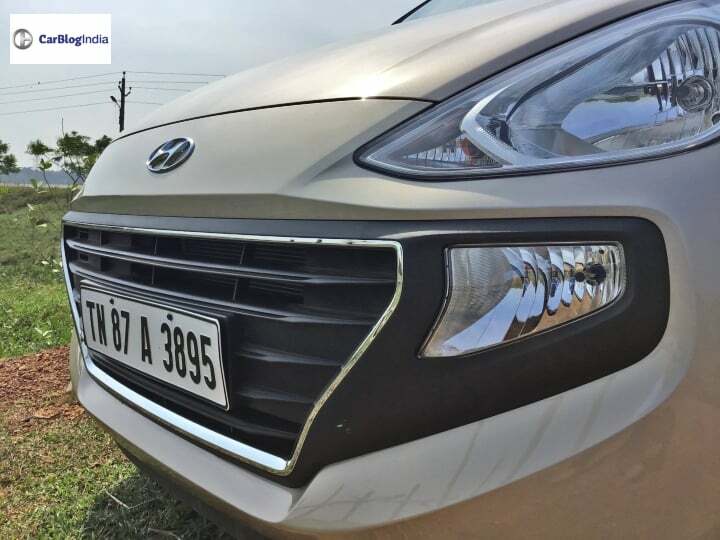 Hyundai has to increase its monthly production capacity assigned for this hatchback in order to meet its increasing demand. Are you too impressed by the features and capabilities of the new Santro? Planning to buy a new one for yourself? Then in this article we bring you a complete analysis of all its parameters which are going to help you in making the right choice about this vehicle. Read along! 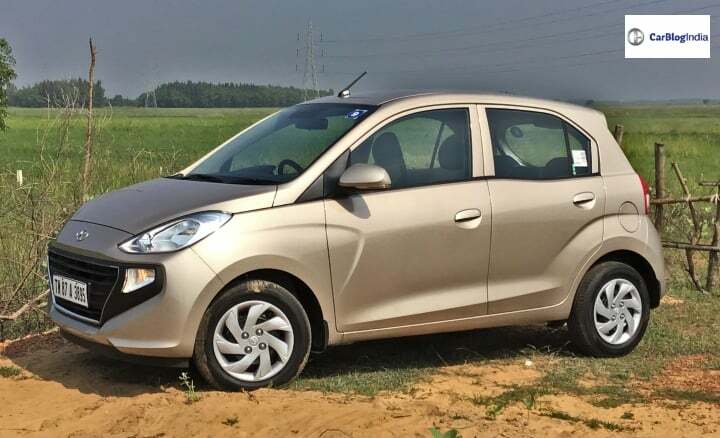 As mentioned before, the 2018 Hyundai Santro is currently available at a starting price of INR 3.89 lakh. The top-end variant of this compact hatchback is going to retail at INR 5.45 lakh (ex-showroom). The third generation iteration of the Santro comes with a 1.1-litre, 4-cylinder petrol engine. This engine is capable of churning out 69 BHP of power along with 99 NM of peak torque. As standard, it comes with a 5-speed manual gearbox. However, for the first time in India, Hyundai is also offering an in-house developed 5-speed AMT gearbox. Not only this, but there is a factory fitted CNG kit also on offer across two trim levels. Entry-level vehicles from Hyundai are known for their frugal nature. And the new Santro does not fail to impress us as well. Hyundai says that this car will deliver close to 20.3 km/l of ARAI certifies mileage figure. 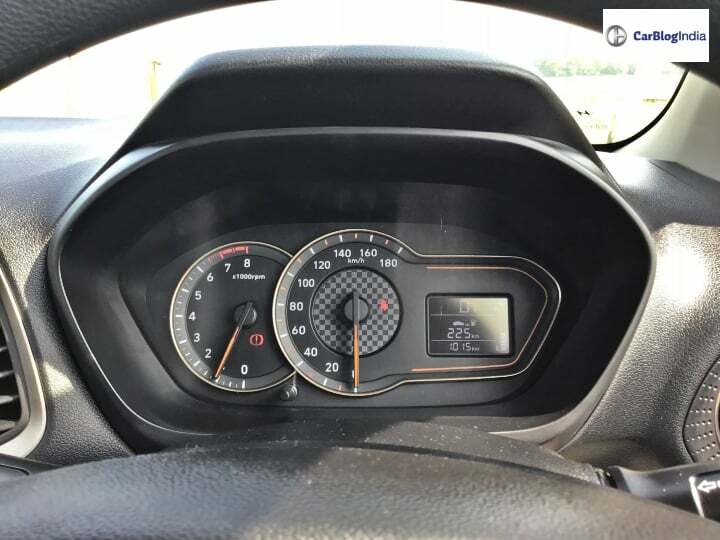 In real-world conditions, expect this car to offer close to 20.3 km/l. The 2018 Santro measures 3,610 mm in length, 1,645 mm in width and 1,560 mm in height. This compact hatchback has a wheelbase of 2,400 mm. This car has a boot capacity of 235-litres along with a ground clearance of 160mm. One of the major changes that this hatchback is going to get is in terms of its exterior design. With this generation update, this vehicle will not lose its compact dimensions. The design will imply Hyundai Fluidic Sculpture 2.0 design language. Consequently, expect the hatchback to get a sharp yet elegant exterior design. The 2018 Santro might borrow some of its design cues from the Grand i10. That said, in-line with other Hyundai vehicles, the overall exterior profile of the new Santro will portray an elegant layout. It will have a decent use of chrome accents, in order to enhance its premium appeal. Furthermore, going by the spy images, we can expect the Santro to come with a sharp silhouette, giving it a slight sporty character. 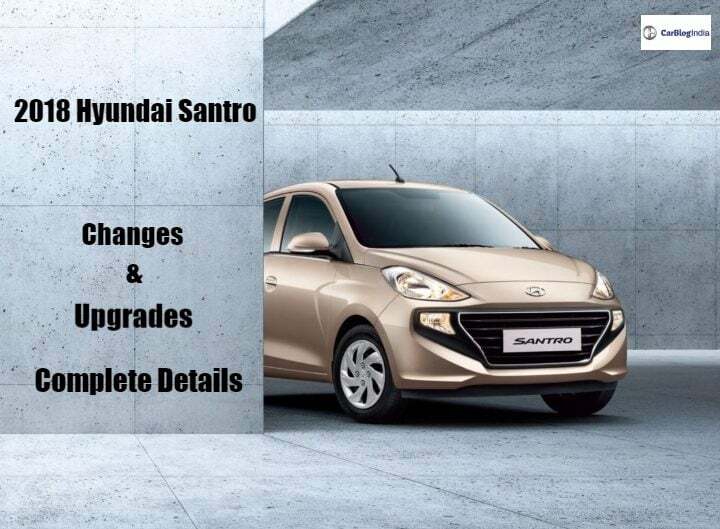 Another major change in the new Hyundai Santro is going to be its interior design layout. Hyundai cars always have a premium fit and finish of their cabins, irrespective of the segment in which the vehicle falls in. Hence, the next-generation of this vehicle is also going to have an up-market and plusher cabin. Buyers in the compact hatchback segment want their cars to be highly ergonomic and full of usable spaces. Hence, expect the new Santro to offer a wide array of storage spaces and practical features. 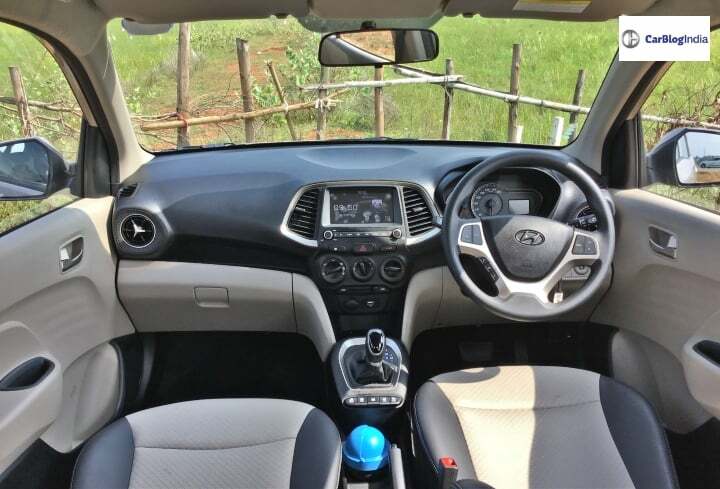 Keeping in line with the up-market appeal of the interiors, Hyundai is likely to provide this small car with a dual-tone colour scheme of back and beige. 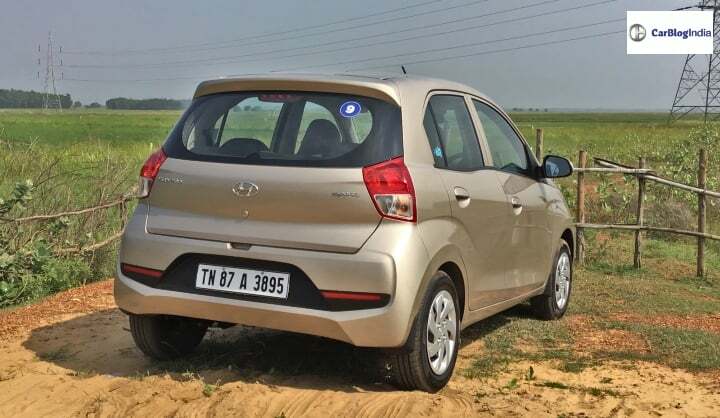 As with other Hyundai cars, the Santro too, is going to retail in a total of five variants. These are D-Lite, Era, Magna, Sportz and Asta. The CNG variant will be on sale in the Magna and Sportz trims. Similarly, the AMT gearbox on the petrol variant is also available on the Magna and Sportz trims. Hyundai cars have always been a step ahead of its competition when it comes to loading their cars with features and creature comforts. 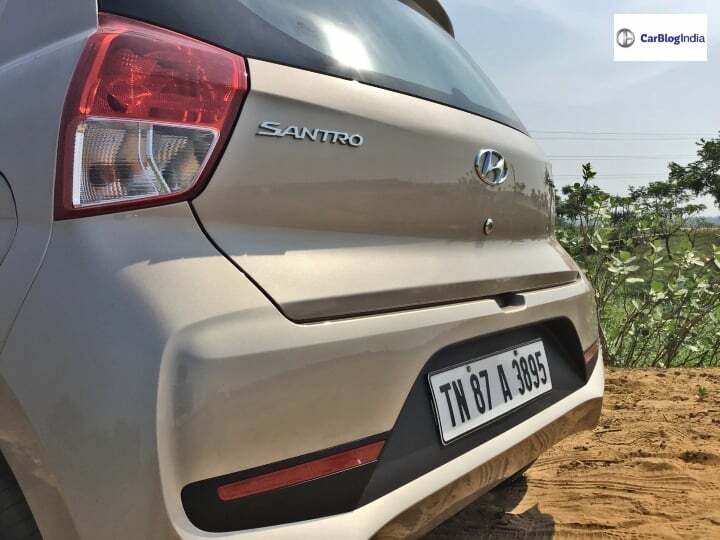 Consequently, we expect the top-spec variant of the new Santro to get a host of features onboard. These may include a touchscreen infotainment system, automatic climate controls, steering mounted controls along with electrically adjustable ORVMS. Apart from features, this hatchback will also score high in terms of its safety quotient. Right from the base variant, the 2018 Santro is going to get ABS with EBD and dual airbags as standard. In addition to this, the hatchback will also get ISOFIX child seat mounts. The primary competitor for the new-age Santro is going to be the Maruti Wagon R. Other than this, it will also compete against the likes of Tata Tiago, Renault KWID, Ford Figo and some variants of the New Swift. Also Read: Hyundai i30 India Bound? We Explain!